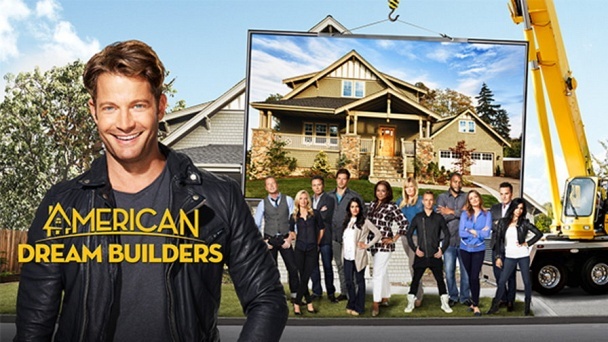 American Dream Builders :: Show Information :: RabbitTV GO! America's top designers, builders, architects and landscapers go head-to-head each week, putting their talents to the test on extreme home renovations. They'll tackle spaces that are architecturally diverse, resulting in epic transformations with impeccable design. These incredible transformations will be judged by host Nate Berkus and a panel of experts to determine which team achieved the best results. The losing team will then be forced to send one team member home. In the live finale, the two remaining competitors will each design and renovate a home on their own, bringing their unique visions to life. America will then vote and crown one contestant the winner. Finally, the two spectacular homes will be given away to two lucky viewers!